For the next month I will be turning to a vegetarian diet (no meat and fish) to help myself become a healthier and ‘feel better’ me – I’ve called this my 28 Days Crave Veggies Challenge. Before the challenge, I had been feeling sluggish and thought this challenge would be just the boost my body needed, I was also concerned that too many of my meals, whether it was eating out or at home, revolved around meat and I wanted to find out was meat really necessary? This challenge (I hope) will be a fantastic food experience of discovering satisfying (new) meals packed with vegetables, whole grains and more. I’ve kicked the ‘habit’ of eating meat and giving the veggies a chance to take centre stage for a whole month! Large bowl of homemade porridge made with soya milk swirled in natural honey. 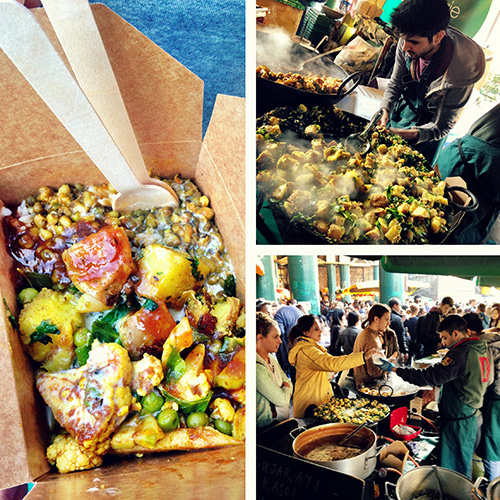 Delicious Veggie Indian lunch box from Gujarati Rasoi at Borough Market and picked up lots of organic fresh produce from Turnips for tomorrow’s Sunday dinner – weekends are made for colourful days like these! The food from Gujarati Rasoi was truly great – my first taste of proper Gujarati Fare. 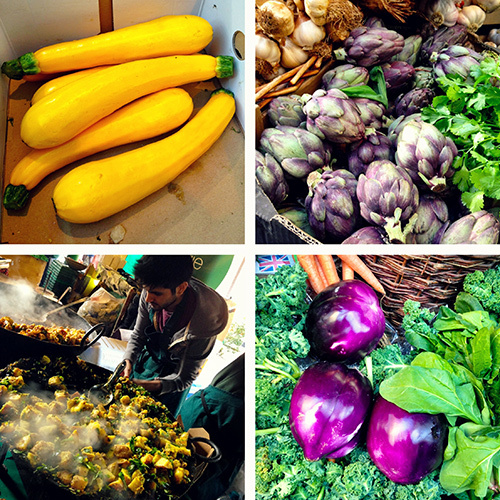 You can find them at Borough Market here. Enjoy yourself! 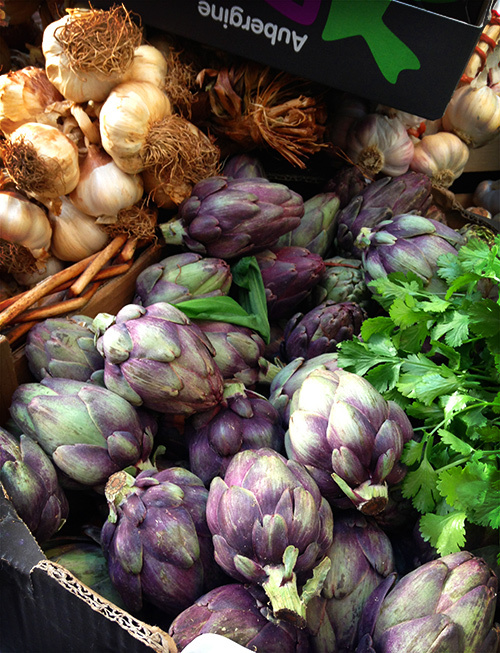 Make a day out of your Farmers’ market experience (I tend to). 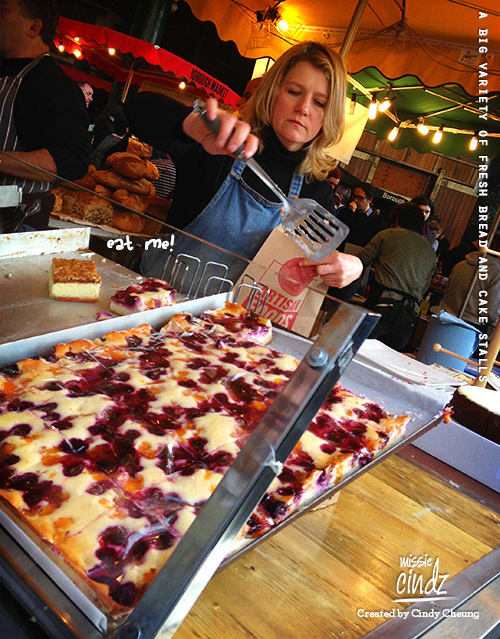 Borough market’s often offers live music, cooking demonstrations, and delicious (meat-free) street food. Going out for a vegetarian meal in central London isn’t too bad. The evening saw me ordering a meat-free Busada Pad Thai Jay (rice noodle, tenderstem broccoli, tofu, courgette, French bean, peanut, beansprout and lime) with vegetarian crispy spring rolls. Now, who said veggie eating was boring!? 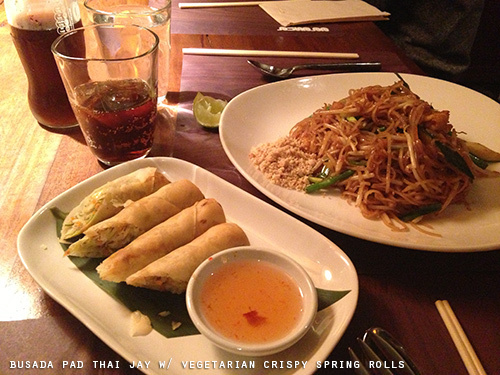 The Pad Thai offered lots of protein in the form of eggs and tofu, and ground nuts. I liked how they added the broccoli which tasted yummy and added crunch & texture with the noodles and made this dish even more nutritious. Rice crackers and a couple of pringles. 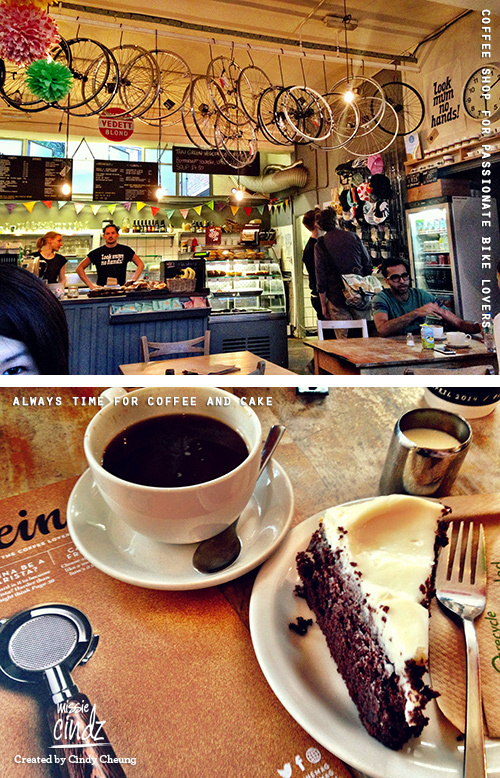 I also made a coffee and cake stop at one of my favourite London Coffee Shops, Look Mum No Hands on Old ST. My cake recommendation here’s their Chocolate Guinness cake – moreish, moist and delicious!